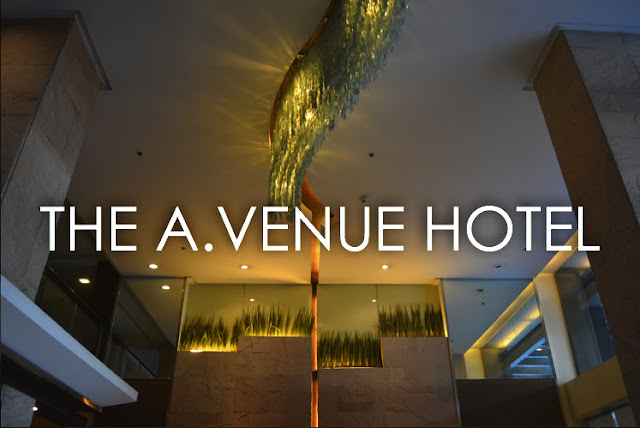 Everytime my western friends arrive in Manila, The A.Venue Hotel is almost always a popular choice. I know for a fact that the location is one of the best spots for tourists in Manila, even I myself is always fascinated by the well balanced mix of hipster, pop and such a hyper neighborhood in this area. But more than just a prime location, I wanted to know what the hotel has to offer. Over a weekend, I headed to The A.Venue Hotel packed with a lot of curiosity in my bag. Once known as the Best Western Plus Antel, the hotel is seemingly full of character yet subtle at the same time. I was initially confused by the three towers that sprung with the same name, but I soon realized that the Serenity Tower is the newest and so checking in was inevitable. There's this certain level of sophistication in the lobby, a busy foyer welcomed me with such a vibrant mood from the guests and the friendly staff. But entering my One Bedroom Suite has got to be my favorite part. It was all in my senses that I was staying inside a hotel, but to some extent, it felt more than just a hospitality brand, it felt like home - one that I particularly loved. The interiors of the room were stylish, modern and sleek, with tones that are soothing to the eyes. I jumped right into the mattress and the tenderness immediately called me for slumber. The texture of the sheets were so fine and friendly to the skin. Paired with lighting that matches my preference so well. I particularly enjoyed the plenty of options to play with the light gradient in the room as this is always a struggle for me everytime I go on a staycation. I like my lights to be on a particular luminosity and a particular angle, one that sets me just the right amount of tone and The A.Venue Hotel gave me just that. Entering the bathroom, the shower was relatively bigger compared to other hotels but what really caught my attention is how soft and fresh the towels were, they could pass as pillow! The One Bedroom Suite spoiled me as if it was my own condominium, complete with a kitchenette and a living room that added to the level of comfort fit for a staycation. The suite made me enjoy my own personal space amidst a very busy hotel, a space that I would definitely be delighted to share with people close to me as well. Two swimming pools await at the 5/F of the hotel as well as a gym facility. But since I wasn't in the mood to swim, the Tocarre Spa was my go to place for some foot rituals. Tocarre Spa offers quite a variety of pampering options to anyone who is craving for a time to relax and rejuvenate. The spa is located next to the swimming pool so you can hit the hay back at your room right after that well deserved spa. After some pampering, the Azurro Restaurant offers Mediterranean cuisine just right next to the swimming pool and also houses buffet breakfast for the guests. Although the hotel is surrounded by various restaurants, nothing really beats dining without having to away from your roof. Overall, I must say that the crowning glory of The A.Venue Hotel is its prime location. Right outside the hotel is an array of entertainment, shopping and dining activities, not to mention that the vibe around is highly commendable and enigmatic in a good way. The A.Venue Hotel duplets this prime location with a great opportunity to relax, omitting an overwhelming feeling that disrupts the home-away-from-home kind of ambiance, paired with a superior level of comfort at a cost that is not sky rocketing. That is the The A.Venue Hotel experience.